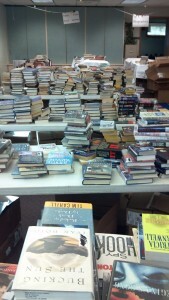 Before the sale begins, mounds of books lie on the tables. Friends of the West Branch Public Library is a nonprofit advocacy organization which supports the Library. Our volunteer members advocate, educate, and raise funds on behalf of the Library, its patrons, and the community. Mission: The Friends of the West Branch Public Library is dedicated to the enhancement of library services, resources, programs, and facilities. Providing funding for the Summer Library Programs. This includes the purchase of prizes, providing money for program hosts, and even paying for summer reading computer software. Without the Friends, the summer programs wouldn’t happen. Running the Library’s coffee service. The Friends purchased the library Keurig in early 2014 and keep the coffee and hot cocoa flowing. Host the Library Booksales. 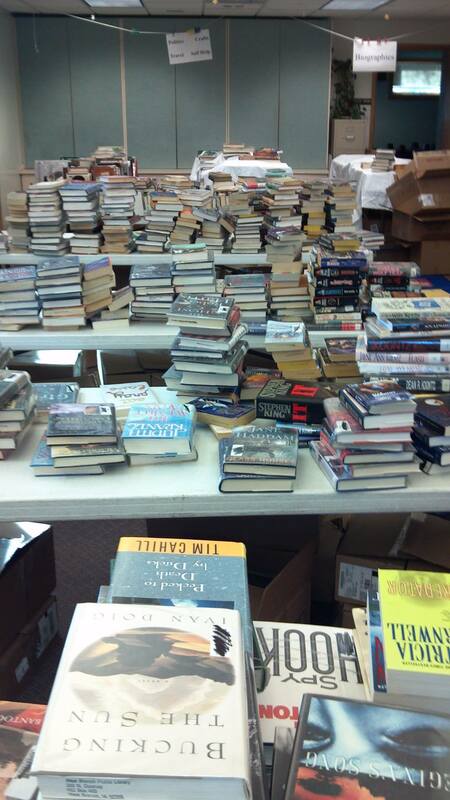 Depending on the amount of donations received, the Friends Regularly host a book sale in the library’s children’s area. Buy materials for the library. The Friends frequently buy books and movies for the library and are responsible for the seed lending program. The Friends also sponsor the Friends’ Movie of the Month, marked with a red label in the library. Volunteer at library events. Besides providing funding for library events, the Friends’ also provided much needed manpower. From serving snow cones to handling registration, the Friends are there to help! The Friends of the WBPL Board meets monthly on the second Monday at 6:30pm, generally in the library’s Community Room. For details on upcoming Friends meetings, please visit the library’s event calendar. If you have any questions regarding the Friends of the West Branch Public Library, please feel free to ask at the library or complete the contact/question form below.